Listening and identifying different music, terms and genres. Comparing, contrasting, singing, dancing, performing. Note: This video is footage of their other performance. Aussie Kids Rock has entertained kids throughout Australia with their blend of interactive music and comedy since 2003. 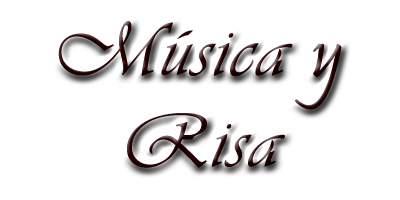 In Musica y Risa, the loveable guitarist and bass player C.J joins the hilarious drummer Deano on a memorable trip through the music of Europe. Focusing on Germany, France, Spain, Scotland and England, Musica y Risa not only explores music and basic language like greetings and phrases but also introduces students to lesser known instruments such as Castanets, Flamenco Guitar, Accordion and many more! With traditional costumes, comedy skits set in various European countries and original songs echoing different European styles, the audience are given an insight into not just European music but history and culture as well. In England, the audience experiences the 1940’s Music Hall (The U.K equivalent to the American ‘Vaudeville’) where the Ukulele and Banjo-lele are the preferred instruments. Next up is the 1950’s skiffle and rockabilly scene featuring C.J on the double-bass and Deano on the Washboard. Yes the washboard, it wasn’t just for washing your clothes. Back then, it was also a percussion instrument! The finale is an energetic, interactive game where the musicians get the whole audience involved as they condense the entire show into a few short minutes. Not only is it loads of fun but this amusing summary reinforces the information students have learnt during the performance. Excellent. Entertaining, it was funny, the students liked the music from different countries, playing different instruments. The student involvement was great to. Sandra Gove. P-6. Dimboola Primary School. Dimboola. VIC. Aug 2018. Students engaged in the entire show. Relevant as all students attend specialist music lessons - all had a go at the Ukuleles. The older students loved the electronic music. Great entertainment. Great use of humour - engaged students well. Sandy Baker. K/Preps to Year 6. Cobar Public School. Cobar. NSW. 23/08/2018. The students were very engaged with the whole performance and they all said they learnt a lot about music from other countries. Enjoyable and engaging. Megan Day. K/Preps to Year 6. Narrandera Public School. Narrandera. NSW. 16/08/2018. Price: $6.60 per student ($6.00 + $0.60 GST). Times: Show: 50 to 55 minutes. Set up: 1 hour. Pack up: 45 minutes. Requires an indoor performing area 4.5m deep x 5m wide x 3m high with access to power. Aussie Kids Rock ABN: 12 705 665 598.